One of the biggest news in Hollywood lately was Sony’s announcement that it has acquired the rights to make an Assassin’s Creed movie. 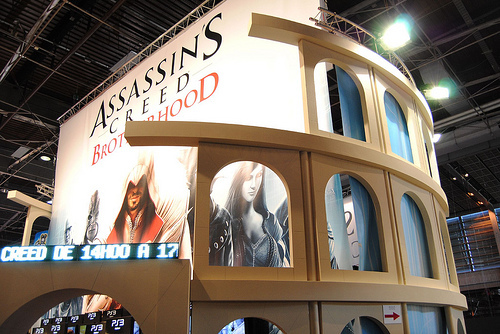 It was big news because Assassin’s Creed is one of the hottest video game properties right now and it is a property that has been hotly fought over by various movie studios – among them, Dreamworks, Universal and Warner Bros. Sony getting the rights is big news indeed. But more than the acquisition of a hot property, Hollywood is all abuzz because the terms of the agreement is just coming to light, and it’s one that Hollywood insiders are not comfortable with, to say the least. According to the agreement between Ubisoft and Sony, the latter is giving Ubisoft a level of control over the film that has not yet been seen in other agreements. Ubisoft has approving authority over the film’s budget, the principal cast, the final script and even the release date. This level of control is unheard of, Hollywood insiders even mentioned that even top tier directors are not given the level of control Ubisoft was given. A number of studios that have showed interest in the Assassin’s Creed property backed off when it found out the demands Ubisoft wanted for the deal. Only Sony agreed to the stipulations set by the gaming company, hence it got the deal to make the Assassin’s Creed movie. The big question is will this set a precedent for other companies that are sitting on a much-desired property that Hollywood wants to turn into a movie?